Several earlier posts have highlighted how challenging it is to come to firm conclusions about some of the most basic facts about the history of the Cultural Revolution in China (link, link, link, link). The history of this important recent period of Chinese history is still a work in progress. A genuinely remarkable book of documentary photography on this history appeared in 2003, with the title Red-Color News Soldier. Chinese historian Jonathan Spence provides an illuminating introduction to the volume and the period. The core of the book, edited and presented by Robert Pledge, is a body of photography by Li Zhensheng. 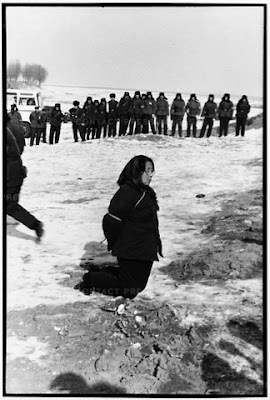 Li was a rank-and-file news photographer in Heilongjiang in the northeast of China who had received film training in the 1960s. Li provides a short but fascinating autobiographical statement of his early years during the Great Leap Forward, and he adds to this narrative in each of the main sections of the book. 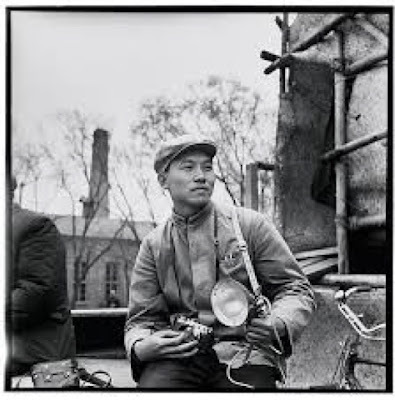 Li took thousands of photographs during the early years of the Cultural revolution, some of which he knew to be politically dangerous. He therefore succeeded in hiding thousands of these negatives for thirty-five years, before making them available for publication in 2003.The book provides genuinely new emotional insight into this period of chaos in China’s recent history. 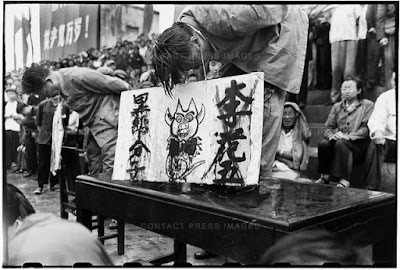 The photographs capture the passions of committed Red Guards as well as the pathos of the often innocent scapegoats who were the victim of Red Guard violence. Mass emotion and individual pathos are captured in almost all the images in the book. 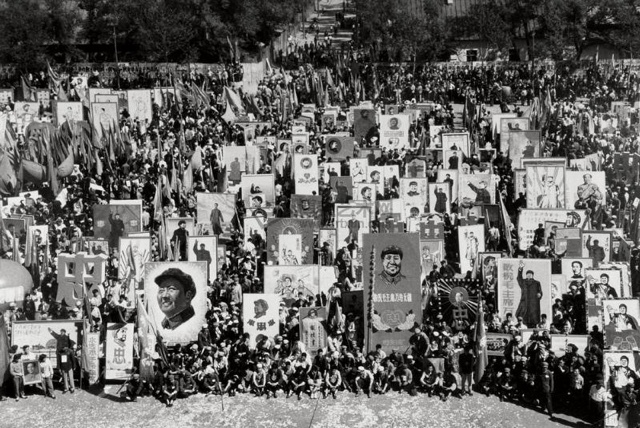 Several things shout out from the photos in this volume that perhaps shed light on the experience for Chinese people of the Cultural Revolution. One is the intensity, size, and rage of the crowds that are depicted. It is perhaps extreme to say this, but many of these photos evoke mass madness — people caught up in the emotions and hatreds of the period in ways that obliterated their ordinary human impulses of pity and kindness. What we see instead is a sea of human faces, taking in the humiliation and abuse of their neighbors, while shouting support or laughing at shaming self-confessions, dunce caps, and raw physical abuse. So the book provides a rich canvas through which we can begin to grasp some of the human meaning of the experience of the Cultural Revolution. It is important to be clear about the limits of the book, however. It is geographically limited to the extreme northeast of China, the province of Heilongjiang. So it is suggestive of the nature of the experience in other places — but only suggestive. It would be striking to have other images from Souzhou, Wuhan, or Xian; how similar or different were the currents of rage and violence in those other parts of China? Second, the book does not shed light on the causes or dynamics of the Cultural Revolution. Li refers to the politics of rival factions on several occasions, but we don’t get much of an idea of what the shouting was about in those struggles. And there is no basis for drawing inferences about the leadership’s intentions and strategies on the basis of this collection. Li’s perspective is from the street: these are the demonstrations that occurred, this is how the crowds looked, here are some of the acts of humiliation and violence that occurred in my presence. It is for others to set the stage by uncovering the political dynamics of the Cultural Revolution from beginning to end. But the questions raised by this volume are enormously important. Li’s camera depicts a population gone mad; and yet these were ordinary people just like the citizens of Albany or Albuquerque or Peoria. So we are forced to ask, what are the conditions that make a populace ready for this kind of raging cruelty; and what are the sparks that unleash the outbreak of a period like the Cultural Revolution?